September 2010 – Hurley Books – How do you do? 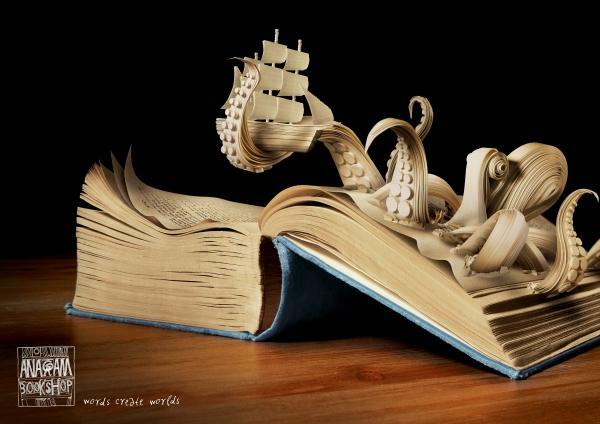 The Beautiful Art of the Book. Penguin are currently selling James and the Giant Peach for £100. It’s a limited edition hardback designed by Antony Gormley and is one of six titles in a special series. It’s hard to tell if it’s worth the money, their website only shows you 3 photos, for £100 I would want close up images of binding, I’d want hand painted or marbled endpapers I’d want to see the quality of the paper and I’d like the designer to sign it. A Perspex slipcase is not enough of a deal breaker for me. Now Penguin may not showing you the fine details of this book but they are showing you the larger picture of things to come in the publishing world. In 10 years time the way you read your book may well have changed completely, so much money is being invested in kindles and the like that’s it’s hard to see how this trend will fade. If one electronic portable device can carry 1000 books then think of the storage savings. Imagine a library. The whole building could be held on one machine that someone can download unlimited copies to portable readers. It’s also great news for new authors, launching a new author is hugely expensive, imagine the costs involved in printing thousands of books that no one buys. An e-download will be so much cheaper and less of a risk. It’s great for readers as well. Your e-bookshelf can be scanned and new recommendations will be made based on your previous preferences. How nice would that be? Physical books like handwriting are going to become elitist or subversive; they will leave the mainstream and peel away into cliques and collectible, underground fanatics and specialists. Rather like they used to be in the past, books will become things of beauty, bindings will become more extravagant and individual. In the middle ages books were bound in jewels, or shells as well as cloth or leather. Cloth was often embroidered and the leather was tooled to incredible intricacies. The art of book binding will soon be on the rise again and I for one welcome the idea of holding a hand stitched book bound in embroidered crewel work with hand tinted end papers. But this is the 21st century and there are some new ideas floating around book art is a particularly charming one, where the whole book itself is a piece of work. I’m not sure how easy it would be to read but it sure is lovely to look at. I suspect Lewis Carroll would have loved to play around with book art, just think of a hole carved into the pages of a book where Alice falls down the rabbit hole and the text weaves across the blank pages. Of course it’s not just authors playing with the book format; it’s also publishers and artists. Penguin (again; they really are leading the pack in design innovation) recently released a range of classic titles with blank front covers for you to draw on, to make your own book. Rather flies in the face of your parents telling you not to scribble in your book. Pop up books are the first step in book art and who doesn’t love pulling levers and tabs or having dinosaurs leap out at us in glorious 3D then opening envelopes and flaps to discover clues and hidden messages. There are even scratch and sniff books but a Fungus the Boogeyman scratch and sniff book is maybe a step too far! So don’t worry if the idea of new technology wiping out the book trade worries you. It won’t happen, the industry will adapt and you’ll get both the convenience of modern e-readers and the tactile joy of beautifully produced books. And I will set up reading rooms with leather armchairs where we can sip wine together surrounded by oak book cases laden with lovely, tactile, physical books! https://www.foundshit.com/tag/books/ Current examples of books being used in artistic ways. There are three pages of images , have a look at all of them they’re stunning. Other Book Artists; Georgia Russell, Brian Dettmer, Abelardo Morell, Cara Borer, Robert The and Takeshi Ishiguro. 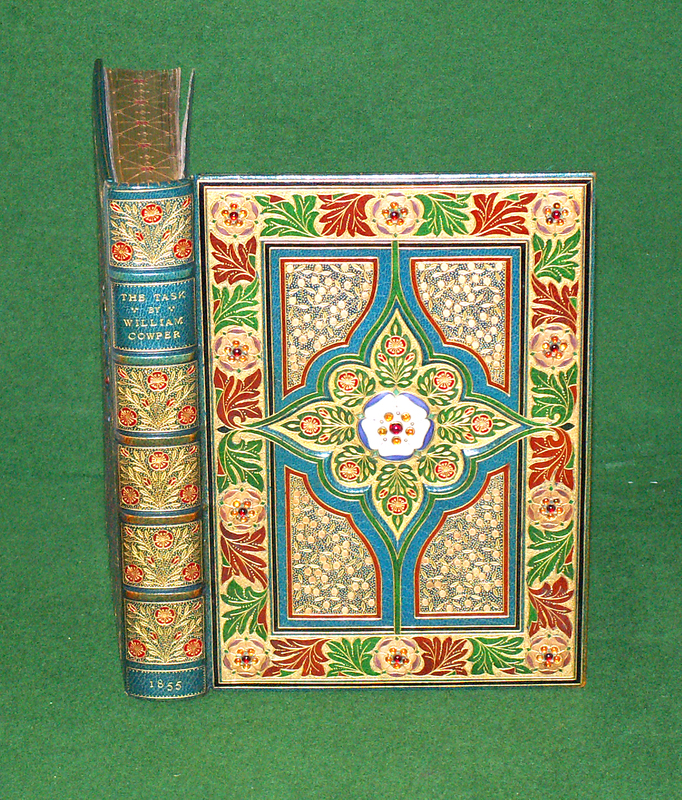 Beautiful Binding, Hand tooled leather work to embroidered covers. Jeweled Books – things of utter beauty. Penguin Blank Covers. Have a look at the gallery and see what people have made of the books. The book that kick started this article. When you’re smiling, the whole world smiles with you. About a month ago a chap came into the shop sporting a very dour expression whilst wearing a t-shirt with the instruction “Smile” emblazoned upon it. I had to wonder if it was an aide memoir to himself or an instruction to others. Either way the contrast made me grin. A week or two later another chap came in smiling and telling me that it was his mission to make people laugh and proceeded to tell me a rather bad joke. It certainly made me smile. Then finally the other day at ASDA filling station a car pulled along side my pump and the chap jumped out and smiled at me, so I smiled back. Rather charmingly he said that mine was the nicest smile he received all day, so of course I grinned back even more. He laughed and said that he said that to everyone and he would also get back a full beam, belter of a smile rather than the original polite British smile. It was a fun exchange and not one that I was expecting whilst pouring loads of money into my heap of a car. It was a strange month for smiling strangers, I don’t normally get that many comments on my smile, possibly because a lot of the time I don’t have my glasses on so I can’t see anyone and if I’m thinking of something I have a rather vacant gormless expression or if it’s a problem then I look akin to a bulldog chewing a wasp and is not very impressed with the situation. So when I do suddenly smile and my face emerges from idiot savant to grinning idiot maybe it’s not surprising that it’s commented on. Maybe I’m scaring people. Maybe they’re just being nice to me whilst wondering how they can get away from the schizophrenic maniac. However, it’s nice to get a compliment no matter how startled it may be. Living in a house of boys these are few and far between. I tend to get comments like “ but we love you?” as though to ask why should I need someone to comment on my new skirt. It’s that whole gender divide thing with a gulf of misunderstanding in between. 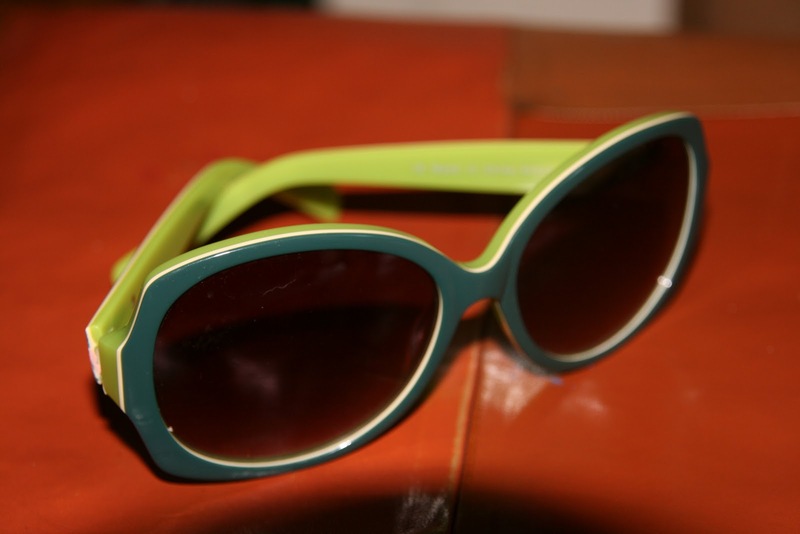 About a month ago I treated myself to some rather snazzy large green sunglasses – they’re gorgeous. We were all of to the beach so I popped them on, full of self pride. My husband took one look at them sniggered and said “don’t they make you look like Timmy Mallet!” Crushed, I slinked into the car where my boys also started laughing. Surely they had no idea who Timmy Mallet was? Indeed they didn’t and they certainly didn’t need to rely on their father’s comments when they had their own opinions. “Hey Mum, you look like a frog!” We drove to the beach with three happy people and one rather fed up amphibian. My youngest boy must have noticed my dejection because as we got to the beach he sidled up to me, held my hand and whispered, “You don’t look like a frog. Frogs are a different colour!” and suddenly I was smiling again, as compliments go it’s a weird one but I’ll take it! So this week I’m going to smile at more people, I may scare some but I may also get some smiles back. Managed to read Terry Pratchett’s Unseen Academicals, funny, not his best but not his worst either and I’m just finishing Fever of the Bone by Val McDernmid. It’s a good detective novel, well written and interesting so I may try a few more of hers. I can’t get enough of The Correspondents at the moment, they played at the Eden Arts cafe and they tore the place up. Rapping Louis Prima??? Big band swing with hip hop???? Might sound mad but it really, really works. Danced and laughed my head off all night. This week’s blackboard puzzle. “A man is condemned to death. He has to choose between three rooms. The first is full of raging fires, the second is full of assassins with loaded guns and the third is full of lions that haven’t eaten in three years. Which room is safest for him?” An easy one this week after the holidays. Eco town or industrial wilderness? Do you remember me saying a few months that if it’s a black and white issue then I would see the grey? Well now I’m seeing Carn Grey and the proposed eco town. This area around Carn Grey and Baal pit is one of my favourite walks with Harry, I’m generally up there every other day and if you’re wondering who I am, then I’m the one standing on my own shouting at the top of my voice “If you don’t get back here, right NOW I’ll turn your ears into mittens! 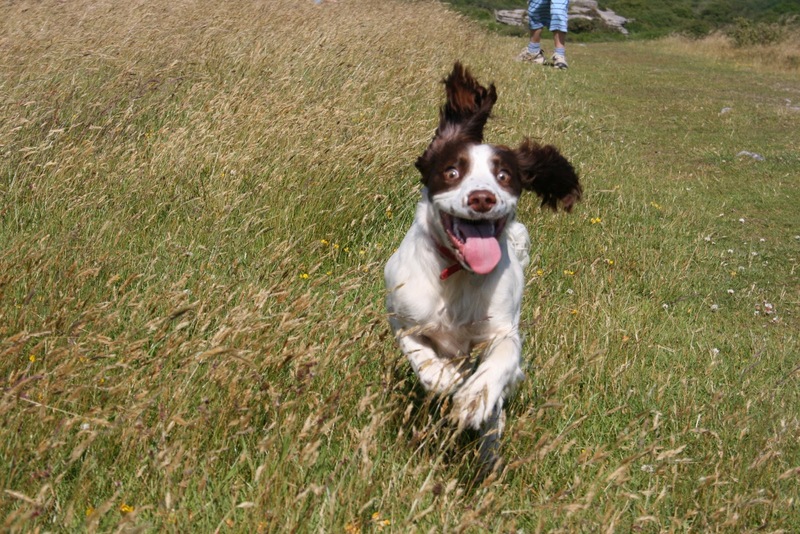 !” Harry will be out of sight somewhere terrorising rabbits and being eternally grateful that his owner never calls him back. – Selective deafness has Harry! We love this area because it provides so many permutations of walks and a huge sense of space and wilderness. I also love the range of habitats, moorland, heathland, woods, fields, ponds, industrial landscapes and granite outcrops. I love the bizarre turquoise lakes, from some points you can see various lakes all in different shades of blue and green, further adding to the alien landscape. I found out recently that old episodes of Doctor Who were filmed in Baal Pit which seems fitting because whenever I walk over some of the sections I feel like I’m on a Martian territory watching terraforming in process. So much money has been spent on stabilising the landscape and introducing species to start to knit together the clay waste and it’s really working well. It’s an incredible process, first tiny mosses take hold, with the odd heather and rhodo self seeding, for once a welcome intruder; trees have been planted and whilst the wild deer up there have tried to have a few nibbles they have been mostly foiled by the tree guards. A couple of times these deers have sprung out at me and I’m usually more surprised than them as I was expecting a Harry, not a Bambi. It’s always a thrill to be so close to such a large wild animal. I know a lot of people see the china clay workings as a horrific scar on the landscape but it seems that the telescope of time has a softening effect, the tin mines are now romantic tourist attractions but I bet at the time they were also seen by many as ugly monstrosities. So I find the idea of an eco town tearing up this place something of an irony. Do we really need this massive development? I know we need homes that people can afford to buy and I’d want all new buildings to be as environmental as possible, but I’ve never been able to afford a true eco house. I’m not against building new homes and I’m all for them being as “eco” as possible above and beyond guidelines. But why here? I have fewer objections to the proposed development behind Poltair, the land is stable, it’s closer to town and amenities and is less of a wild space. I’ve added a few link to walking trails that I’ve done so that you can explore the place for yourself. I’ll be adding a few more over the next week. Baal Pit and Carn Grey – the BIG one. A circular route of martian landscapes and ancient tors. About 1 – 2 hours. High street versus online – is there any competition? I’m part of an online community of booksellers and we regularly chew the fat and try to put the world to rights. One of our recent discussions was about someone’s local bookshop that had just closed down. They sold new books, were in a prosperous town in a good location but had gone into liquidation. Similar tales were soon pouring in from all over the country. Many things were to “blame” high rates, kindles (electronic books) and of course Amazon and in truth all of these things are a genuine threat. I wouldn’t run an all new bookshop if you paid me. How on earth do you compete with a business that can provide an almost limitless range, next day delivery and the cheapest copy? I know Mary Portas, (Queen of Shops) recommends reconnecting with the community, making your product and shopping experience unique and offering excellent customer service and of course that’s excellent advice but the best bookshops have author events, affiliated reading groups, story times, coffee shops and so on but that still isn’t enough. I don’t blame Amazon, it’s just a new development, of course not everyone buys online but that’s the way the trend is growing and now you can download a book direct to a portable electronic reader. Personally I don’t like the idea but boy are they popular! Here at Hurley Books we amble along selling a few new titles, local interest for example but mainly excellent condition secondhand books. We order books for customers new or out of print and we even do home deliveries, we have a regular changing stock and a friendly place to come into and of course we are situated in a very busy tourist centre, which probably helps more than anything else. We think we get it right most of the time but it’s more often luck than hard work. Like most of the tourist villages in Cornwall, Mevagissey has loads of independents and it’s fabulous. The staff are more often than not the owners and they know their products inside out. They care about what they sell and they want the customers to come back time and time again. And they do. Look at St Austell town centre, how many independents are there? The town is finally growing again but none of the growth comes from local independent owners, over the last three years I seen loads of small businesses open and close again which is heartbreaking when you think of all the effort those people have put into starting up their business. And I can’t blame the customers, if the shop is offering the wrong product or too high a price who can blame them for choosing to shop elsewhere? But why can independents survive in Meva but fail 5 miles away in St Austell. So let’s have lower rents and rates in St Austell, in fact why not waive rates for the first year and let the business get established? A more diverse range of shops and attractions will bring in more shoppers and away we go. Now talking of independents I had a nice glass of port the other day from Del Monicos called Double Diamond of all things. Much loved by alchoholics and underage drinkers alike, that double diamond was a fairly foul beer, this Double Diamond however, is a very quaffable port. Pop in and treat yourself. I’m also about to finish One Day by David Nicholls; it’s an enjoyable read following two friends as they leave Uni. in 1988 and how their lives twist and turn. It’s funny in parts and often I catch myself thinking “Oh god, I remember doing that!” I have a horrible feeling that it’s about to end badly because every one I’ve mentioned it to has gone “I loved that book but boy did I cry.” I wouldn’t have picked it up if I thought it was a weepy, I tend to avoid them. So I’m glad I didn’t know it about this because I’m really enjoying it. Maybe we’ve already had the weepy part and I didn’t notice? p.s. Finished it now. No, I hadn’t missed the weepy bit, it hit me on the next page. Must say, I didn’t like the ending, not because it wasn’t happy but rather because it was so depressingly true to life. I’m going to read a Terry Pratchett next. True to life in only the way that four elephants balancing on the back of a turtle swimming through space can be.